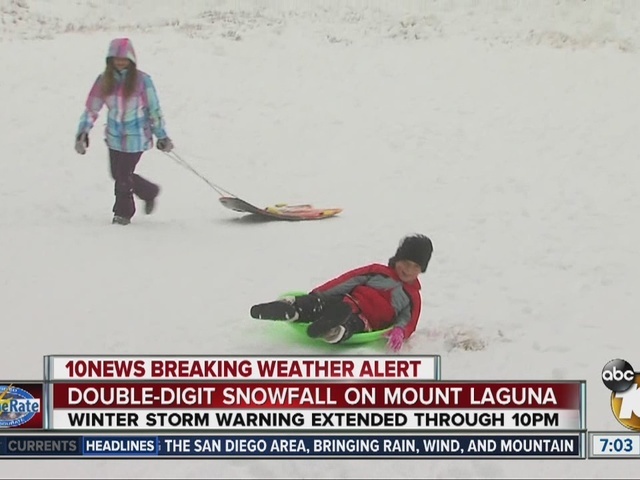 SAN DIEGO – Mount Laguna received steady snowfall overnight Wednesday and into Thursday morning. 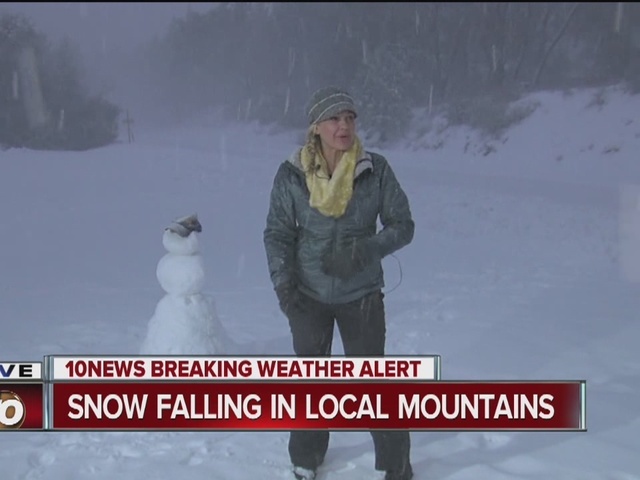 10News reporter Emily Valdez trekked up to the mountain this morning and discovered that the winter wonderland was turning more into a snowstorm. San Diego County crews were scrambling to clear the roads, but were having trouble keeping pace with the amount of snow coming down.